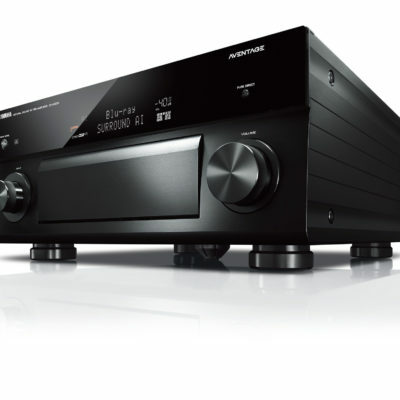 These AT5XXNC series amplifiers break new ground in other ways. 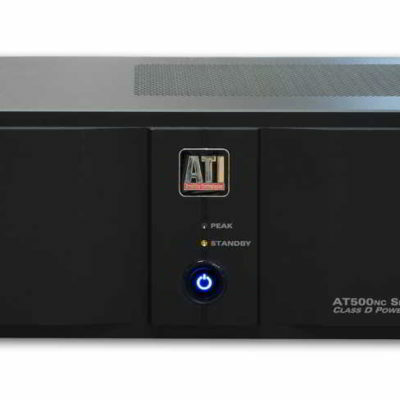 They are the first ATI amplifiers to use micro-processor control for turn-on delay and feature automatic AC power recognition and configuration. 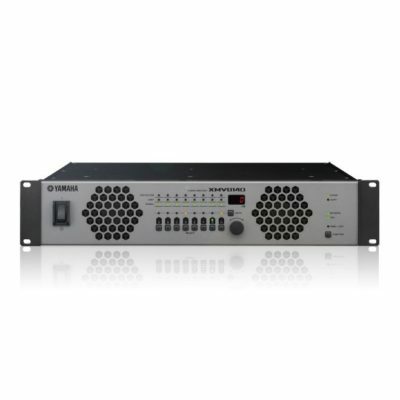 The amplifiers not only recognize whether they are hooked up to 117V or 230V nominal power, they automatically self-configure. The amplifiers also incorporate a new and novel “sleep” circuit. When the amplifier receives no input signal for a period of 10 minutes, power is removed from the output modules and a front-panel LED begins to flash. As soon as an input signal is detected on any channel, normal playback operation resumes instantaneously.